It had been possibly the most relaxing holiday I think our little family had ever been on. Endless days of swimming, eating and nothingness. 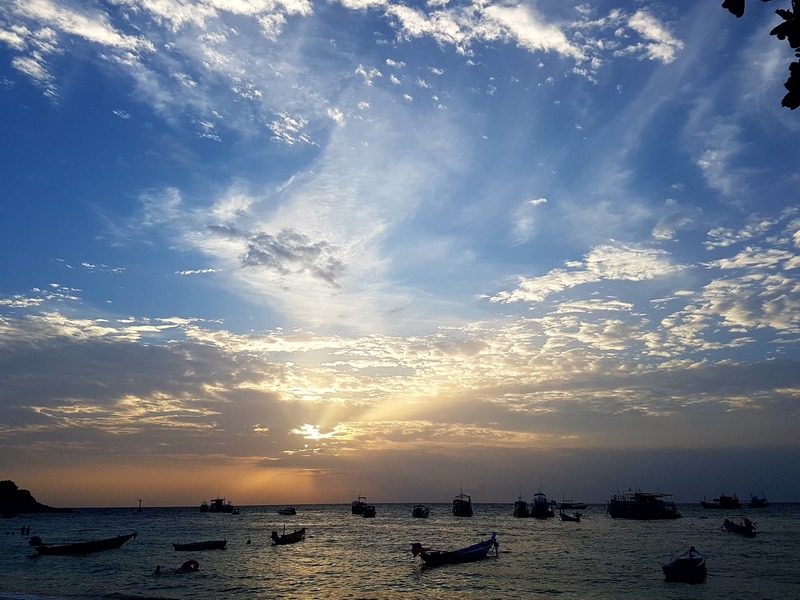 For the last eleven days we had put down roots in the idyllic diving Mecca of Koh Tao, a small island 3 hours by ferry from the mainland situated in the Gulf of Thailand. It started as a reunion of sorts. A simple Facebook comment that spurred a novel worthy thread, that culminated in a motley crew of families, couples and singles booking a 2 week holiday in paradise, in memorium to a manic trip of blurry memories from our 20s. There were 8 kids on the holiday and all played really well together. So well in fact, the most common parental question was “does anyone know where the kids are?”, which of course didn’t require an answer and was more of a statement to acknowledge our apparent duty of care. As you’d imagine, it was hot. Bloody hot in fact. So hot that after breakfast and a morning dip to dust off the cobwebs of the previous night’s shenanigans, one needed to by hypervigilant about adequate levels of hydration. So, beer. Before lunchtime. Every day. It was the only responsible thing to do. We spent the mornings work-shopping activities in the event we heard the dreaded “I’m bored” from the little humans, but as luck would have it, never were the words uttered. Probably a good thing in retrospect, it’s quite hard to keep beer cold in Thailand whilst adventuring. We snorkelled, ate, read books, drank, Nanna-napped, ate again, drank, shopped, had massages, drank and ate. All the best kinds of busy I know. The days passed by slowly and we began to forgot dates, days of the week and even time itself. Kinda like ground hog day, but one you would quite happily enjoy for the rest of your life. Blissful relaxation with a handful of funny, booze fuelled nights to balance the scales. Good friends. Booze. Good times. Eleven days slipped by and discussions inevitably turned to homeward journeys. I realised that I had mistimed our ferry back to Koh Samui and had left a window of only 20min to make our flight. So spontaneously as usual, I booked us in at the same resort some of the crew were staying at for the last 2 nights of our trip. Sounded like a perfect way to end; pool, grassy grounds, cocktails and sea view dining.